"..I’ve worked with many real estate agents before and every single one was a let down. Megan’s professionalism, dedication and productive advice was uniquely refreshing. Once we formed an action plan, she guided us through the preparation to sell the house. During the same time, she represented us during the purchase of the new property. She was fair, upfront and direct. Her suggestions made sense and we benefited greatly from her prior professional experience. Megan can be greatly credited with getting our house sold in less than a week, with a sale price over $30,000 asking. This was all during Thanksgiving and Christmas periods– not a great time for selling a home..."
"Megan is incredibly good at listening to her clients’ needs, and navigating the most complicated situations with ease. Her professionalism and friendliness set her apart, and has made working with her a true pleasure. Together our families have worked with Megan on the sale and purchase of 5 homes. We continue to recommend her to friends and family because we can’t imagine finding a more competent, caring agent to represent us." "Megan is devoted to making her clients her number one priority. She is a talented negotiator and sold our house for an amazing price-$76,000 over asking! What sets her apart from other realtors is her genuine good character and professionalism combined with being a true friend looking out for her clients best interest at all times. Lastly, she has an impeccable eye for detail when it come to staging and preparing your house to sell! " "Megan came in as a breath of fresh air after a 100 days struggling listing. My listing was by an out of area independent agent and few other mistakes on the listing that was not helping the listing sell. After a few discussions with Megan, we hired her to be our local agent. She is very resourceful (cleaners, stagers, photographers, printers etc) and was able to schedule these services promptly. She did broker's tour and one open house and we ended up with two good offers and we closed on one. I have since reached out to Megan for other help as well. Megan will be a very good and resourceful team member for both individual seller as well as real estate investors or even real estate agents for any help in San Francisco and the North Bay area." "Megan helped us sell our home that we had been in for almost 38 years. She patiently guided us through what could have been a traumatic process with her knowledge and professionalism. She arranged for the staging, our house sold quickly, and she held our hands during the negotiations and closing process. She is a true professional and we felt so fortunate to be represented by her; we would highly recommend her." "There is a naivety lost when you dip your toes into the process of purchasing a home, and I can assure you that if it had been anyone else negotiating for us, we would have chickened out, given up, or simply not been able to purchase. I am sure there is a lot of other talent out there, but Megan's enthusiasm, intelligence, ability to explain these arcane and complex processes, and her knowledge of how to work the tricks, angles, and options that really give you a leg up in the house hunting, are all indispensible. In the end, all we have to say is this: She got us our house over all cash offers, under what we were initially going to bid by about $50,000. She transcended realtor, and really became a friend... such that we totally miss her. =) Thank you so much Megan!" "I can’t say enough good things about Megan’s tireless dedication to making sure everything went smoothly and efficiently to sell our house. She worked closely with all those involved with exceptional attention to detail to make sure that when the buyers showed up the house exceeded their expectations. She exceeded my expectations as a dedicated, smart and personal realtor. Not always easy to find out there. I highly recommend her to prepare your house for the fastest close at the highest price." Megan was incredibly helpful and knowledgeable in the buying and selling of our houses. She negotiated quick escrows and guided two real estate novices through the processes on both houses, comfortably, effortlessly and with the highest integrity and respect for all parties. Megan works extremely hard for her clients and clearly LOVES what she does - she is the best! "Megan has a great pulse on the market. She knew that I wanted to live in a specific neighborhood and came across a house off market and was able to get me in to see the house before it listed. I ultimately was able to buy off market. I also used Megan to the list the house I was currently living in at the time. Although the market shifted a bit over a few weeks, she worked hard to market it online, open houses and with other agents. She spent a lot of time negotiating on the final sale terms and believe she did an excellent job representing me. She is very reliable and trustworthy! I would highly recommend using Megan!" "Megan was the key person in helping us sell our Marin home and buy a new home in very short order this past winter and early spring. From discussing the pros and cons of selling and how to best accomplish that successfully in this market to "holding my hand" in the emotional aspect of letting go of our old home, she is both a kind and sharp realtor with solid knowledge of the business. She kept the broker's open going to accommodate late comers to look at our home and that was key in making the offers come in. We had 3 interested parties on Wednesday (Broker's open) and had an offer before our first open house that weekend that eventually led to the sale of our home, above the asking price! Then, when I thought there were no adequate "down-sized" type of homes available in the same town, she made sure I went to a broker's open on the other side of town, where we put an offer in that evening on a darling well-kept ranch-style home. It was amazing to both sell and buy a home within three months time. We are happily settling into our new home and thank Megan for much of this success." "I didn't fully realize the value of having Megan as our buying and selling agent until I talked to other people about their experiences. When friends were stating that their agents said it's all on the internet now so we'll only do one or two open houses and sit a lock box out front, I realized what a dedicated agent Megan was. She made a tremendous effort to be present for every appointment so she could tell the agents and their clients all of the house's features and upgrades. Megan did a fabulous job of marketing our home through a professional brochure and getting our kitchen featured on the internet. When it came time for negotiating she fought hard for us to get a great price. I would say the best part of having Megan as an agent was that she listened to us. She gave appropriate suggestions but ultimately worked really hard to get us what we wanted." "Megan is the best! I run a marketing operation for commercial jet aircraft engines, so I know what it takes to understand the needs of the client and to close a deal. I interviewed many real estate professionals before I chose to work with Megan - I'm very glad I did. Megan paid attention to my ideas, understood my requirements and respected the limits I set. She advised me wisely and advocated my position with the seller and the lender. Megan monitored the entire transaction and even attended the closing! 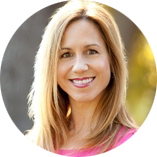 I highly recommend Megan Pomponio for Marin County real estate transactions." "I would recommend highly Megan Pomponio for anyone seeking to sell or buy a home in Marin County. She was knowledgeable about how to prepare our home for sale – what to do and what not to bother with to impress the potential buyers. Megan was courteous, fully engaged and excited by the prospect of selling our home and meeting with prospective buyers. She was always professional, punctual and she was very easy to work with. The final proof of course was our being able to sell our home in April 2012 for $10K more than the asking price before the realtors open house!" "Megan was so patient with us! She is the consummate professional, always available, pleasant and prepared. Whether we needed paperwork, information, or just some sound advice, Megan was there. We were looking for a house for many months, and she stuck with us through at least 6 unsuccessful offers. Never a complaint, or frustration showed, she was consistently eager to find the next possibility and eventually we found the perfect spot for us. We love our home and would recommend her to anyone." "I have managed salespeople for fifty years and can clearly distinguish an exceptional sales representative from a merely good one. Megan definitely fits into the exceptional category. You can be proud to have Megan on your team." "Megan is, in short, a fantastic agent. She is knowledgeable, professional, incredibly responsive, and a pleasure all-around to work with. She made a couple of first-time homeowners feel confident and supported in their decision to put an offer in on a house. She's also communicative and direct, which we appreciated. She has a great energy and ethic, and is genuinely enthusiastic about her work. We would work with her again without hesitation." "We are in the high-end retail business. It is so rare these days to find someone that delivers on their promises time and time again. Many retail workers say things pre-sale to get capture a client - very few actually make good on those - even less follow up with their clients post-sale to ensure they are satisfied. Megan is that person. When we see her around town it is good to know that not only do we recognize Megan as a superb agent, but also a friend." "Megan was an absolute pleasure to work with during our recent home buying experience. She was attentive to our needs, extremely hardworking and was with us every step of the way, even after the deal had been closed. We would highly recommend her to all in the home buying/selling process and now consider her a permanent friend of our family."